The GRIZZLY® handset combines a constant energy heavyweight dynamic penetrometer and borer for compaction control and soil surveys. 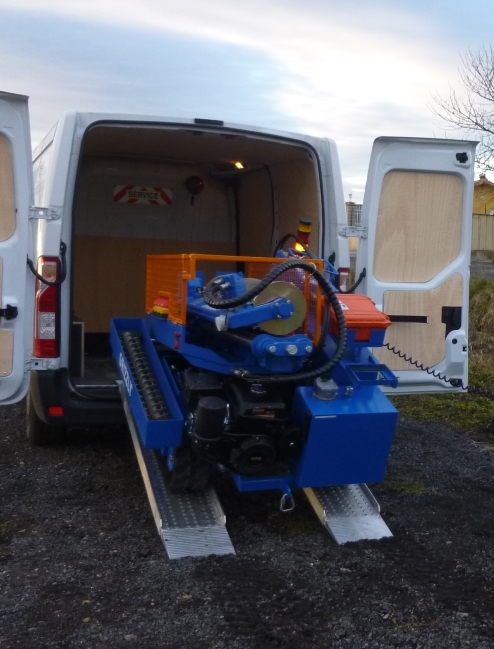 The machine can move across all terrains thanks to its track drive system. It is quick and easy to switch from the penetrometer function to the borer function: the penetrometer’s hammer shaft moves aside to allow the borer head to enter its position on the penetrometer rod, and can also be switched to its transport position for easy manoeuvrability. Use conforms to compaction control standard NF P 94-063. Use conforms to soil survey standards NF P 94-115 and NF EN ISO 22476-2. 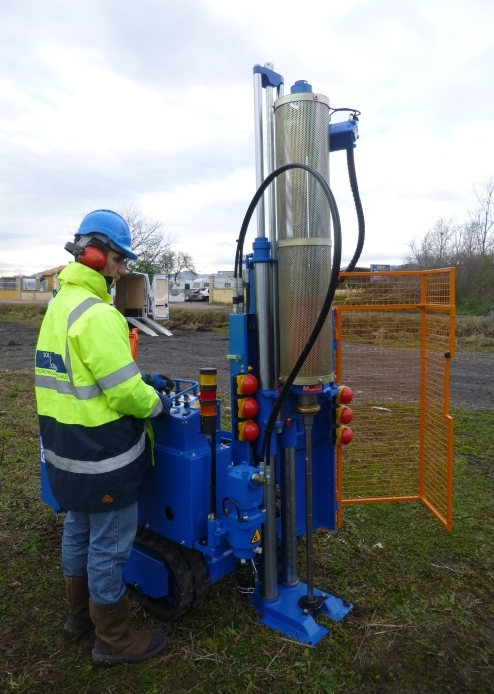 The bore head allows for the extraction of soil samples, geological cross sectioning and pressuremeter tests. Depths are registered automatically and it is possible to immediately enter the geological cross section using the catalogue.